This is the cover of the issue in which we have been featured. 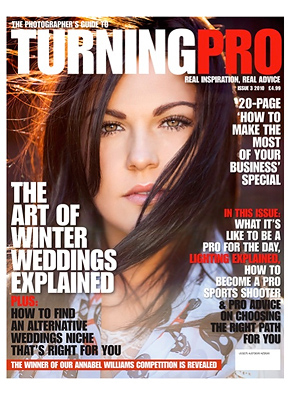 You can pick up your copy of Turning Pro Magazine at WH Smith. she would be capturing at her bookings. 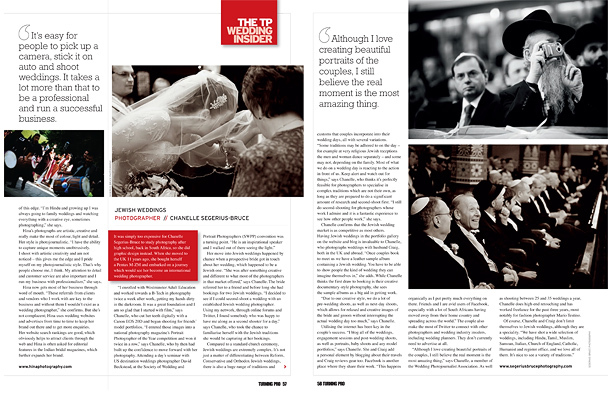 wedding days, all with several variations. see how other people work,” she says. market is as competitive as most others. the sample albums as a big aid in getting work. 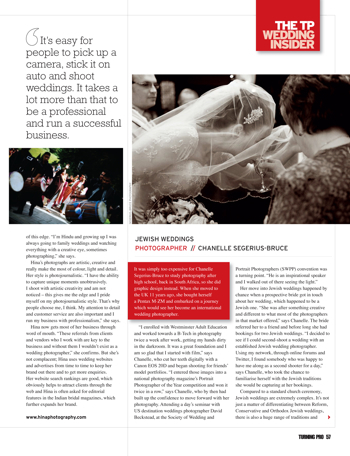 actual wedding day too much,” says Chanelle. need to advertise at all. notably for fashion photographer Mario Testino.